so, without student fees and what the university kicks in, we run at a deficit of $25million. Unrelated, but since we are discussing lists. The alma mater comes in at #157. UTSA, along with a few Sun Belt and Mountain West schools, made the lower echelon ranking. not sure anyone takes any ranking other than usnwr seriously, but that works for me. I'm a little surprised that considering the recorded attendances for UTSA games, they are less than a million ahead of us. Good point. And that's a significant amount to be spending more on it. Where the hell is that money going? 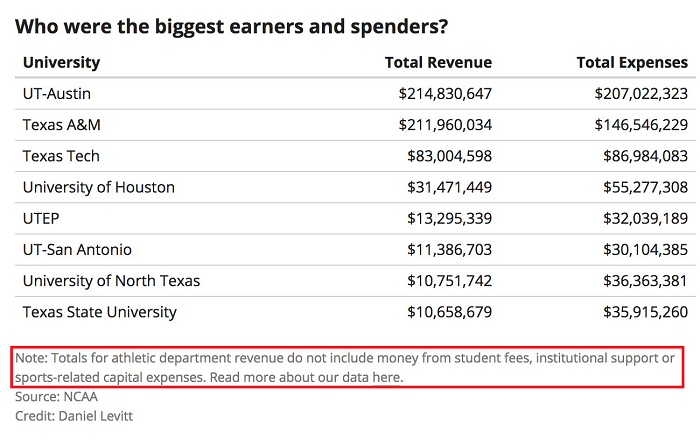 WTF is Bevo spending $207M on? 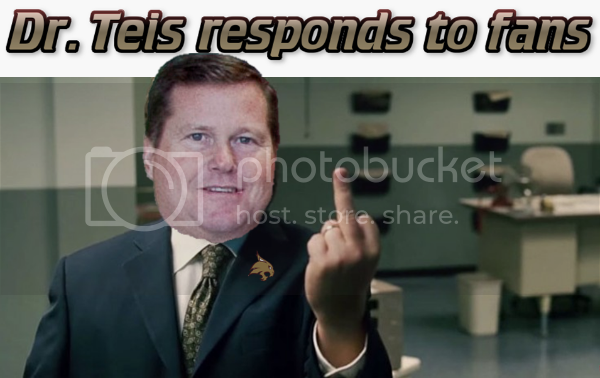 Fired coaches? That is an obscene amount of money, especially considering their on the field / court performances lately. yes, fired coaches is a decent chunk of that. they also have like 400 on staff in their athletic dept for some reason.